Hi everyone, it’s already the third Thursday tomorrow which means out April meeting is upon us. We are entering the sweet spot of our club calendar, and if you want to attend some of the best events of the year I encourage you to attend. This is your last chance to signup and pay for our road trip to several San Diego breweries this Sunday. You can roll the dice and show up and pay at the bus, but this is a pretty epic bus trip so I would suggest securing your spot. This is also your last opportunity to signup for camping and/or food for the Southern California Homebrewing Festival at Lake Casitas. This event was written about in Radical Brewing as one of the “can’t miss” home brewing events in the world, and with Chefs Ian and Travis running the kitchen I personally guarantee the best food in the entire fest. Not enough to sway you away away from Glee? Well this is one of my favorite meetings for beer tastings – extract beers. Are you a new brewer who wants feedback on your early work? Bring them to this meeting and enter them in our club only competition – all styles are eligible as long as the majority of the malt used is from liquid or dried malt extract. Plus anyone who brings extract based beer will be eligible for our beer of the meeting award, which is a $25 gift certificate to Culver City Home Brewing Supply. Personally I’ll be bringing a keg of English Best Bitter made from the malt extract I won at the raffle at the last meeting. And even if you are an all grain brewer, bring your recent work to the meeting. Nothing improves your skills like comparing notes with and receiving feedback form our experienced membership. Our commercial tasting will be English and Scottish ales, so expect more than a few old favorites to be pouring after our announcements. Finally, we’ll have a selection of t-shirts and other club swag available for purchase at the meeting, so if you want to represent on the road trip, Ojai, or just on Fridays at the Daily Pint make sure you bring your checkbook. See you tomorrow night! 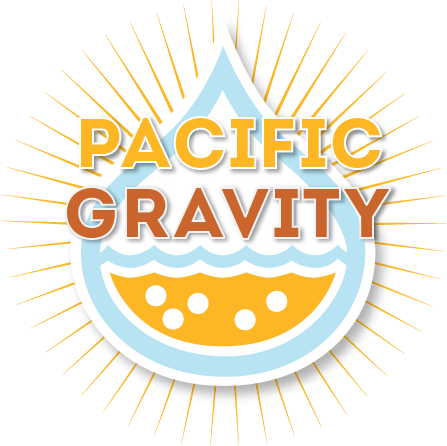 http://pacificgravity.com/wp-content/uploads/2015/01/pg_logo.png 0 0 David Mauceli http://pacificgravity.com/wp-content/uploads/2015/01/pg_logo.png David Mauceli2013-04-17 22:27:132013-04-17 22:27:13April Meeting - Tomorrow!